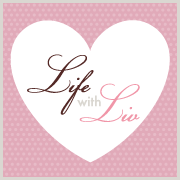 Life with Liv: Our first trip to the Royal Welsh Show. 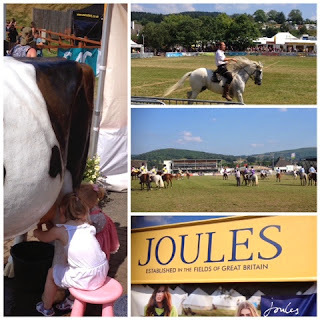 Last week we decided to head out to the Royal Welsh show for the first time. I have to say I wasn't that convinced when my Sister in Law first mentioned it but it turns out I should listen to her more often as we had a great time! 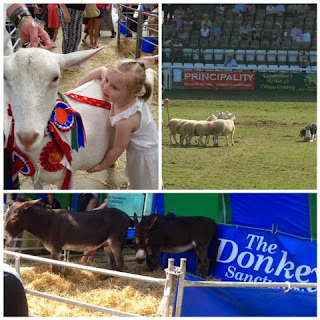 The sun was shining down on us as we spent the day browsing stalls, watched the sheepdog trials, some amazing horse parades, the very talented Equus & Falco and The Royal Signals Motorcycle Display Team – The White Helmets. It also became apparent that Liv is no longer intimidated by animals, she stroked some sheep, donkeys, cows and enormous pigs. She also hugged a goat, milked a pretend cow and made a candle from bees wax - great fun! "The role of the modern Royal Welsh Show is a rounded one. As well as its principal function of showcasing the cream of Welsh livestock and the high quality food and drink produced in Wales, it encompasses the wider spectrum of farming and rural life and successfully bridges the gap between town and country. 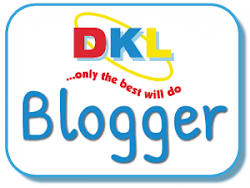 It provides something to interest everyone through its kaleidoscopic range of activities including forestry, horticulture, crafts, countryside sports, Sports Village and a 12 hour programme of exciting entertainment that continues throughout each of the four days of the event." We also did a bit of shopping, with so many lovely stalls it would have been rude not too! I was particularly proud of my purchases in the Joules sale. I managed to get Liv a Girls Chambry spot shirt for £12.95, a pair of Girls Chambry spot jeans for £11.95, a creme Broderie dress for £14.95 and some lovely yellow denim shorts for £9.95. All for just under £50 - major bargain! I would definitely attend the show again - wearing more comfortable footwear next time! There is so much we just didn't have time to see, I think to see it all you would need to be there for at least two days. A lot of people seemed to be staying at nearby caravan parks so that's something to bear in mind for next year. 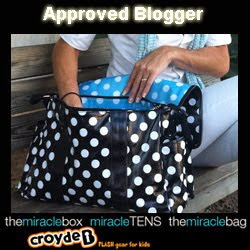 Disclaimer - I was provided with free entry and a Joules voucher in exchange for an honest review, all opinion is my own.